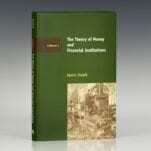 The Theory of Money and Financial Institutions. Cambridge, MA: MIT Press, 1999. 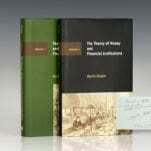 First editions of Shubik’s work regarding the theory of money. Octavo, 2 volumes. Both volumes are inscribed by Martin Shubik to Benoit Mandelbrot. 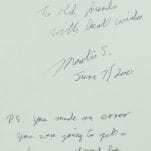 Volume one is signed, “To Benoit and Aliette To old friends with best wishes Martin S. June 7, 2000. P.S. You made an error. 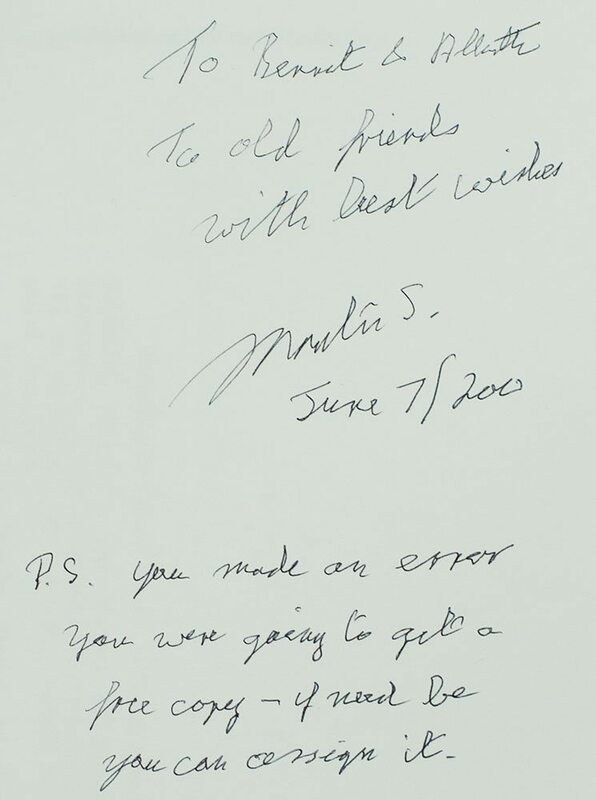 You were going to get a free copy- if need you can assign it.” Volume 2 is inscribed by the author on the front free endpaper, “To Benoit and Aliette To old friends with best wishes Martin Shubik June 7, 2000.” Mandelbrot writes, “The indispensable intermediary who started the process that led me to Yale was a self-described ‘institutional economist’ Martin Shubik. We had met while I was John Von Neumann’s postdoc at the Institute For Advanced Study and he was at Princeton University with Oskar Morgenstern, Johnny’s co-author of the book Theory of Games and Economic Behavior. For a short period in the sixties, we were colleagues at IBM research, but he soon left for Yale. Out of the blue, Shubik called me when I was in transit to Harvard in 1964 and again early in 1967. The first time, I must have rebuffed him. The second time I must have sounded more open. Shortly afterward, a call from the mathematics chairman, Ronald Raphael Coifman” (The Fractalist pp. 279-80). Both volumes are fine in near fine dust jackets with light shelf wear. A nice association. 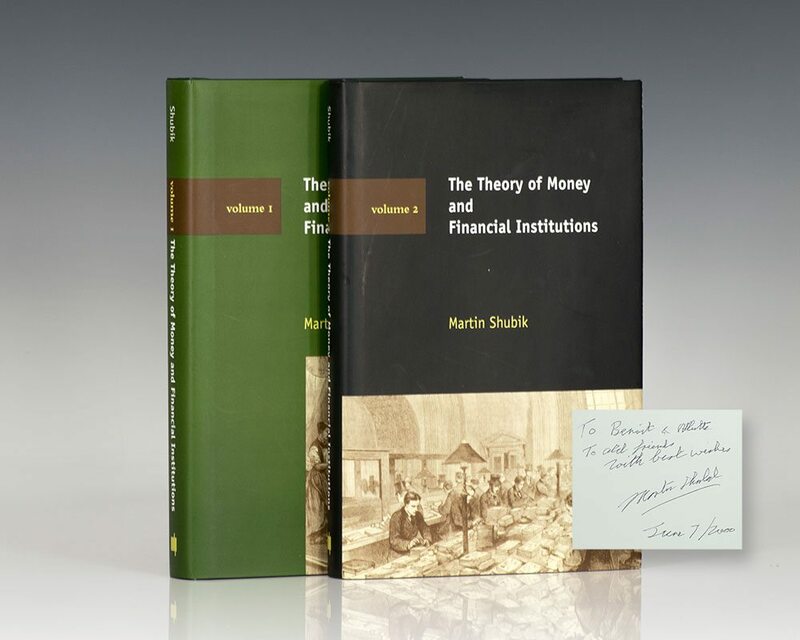 "Mathematical institutional economics"--a term Martin Shubik coined in 1959 to describe the theoretical underpinnings needed for the construction of an economic dynamics. 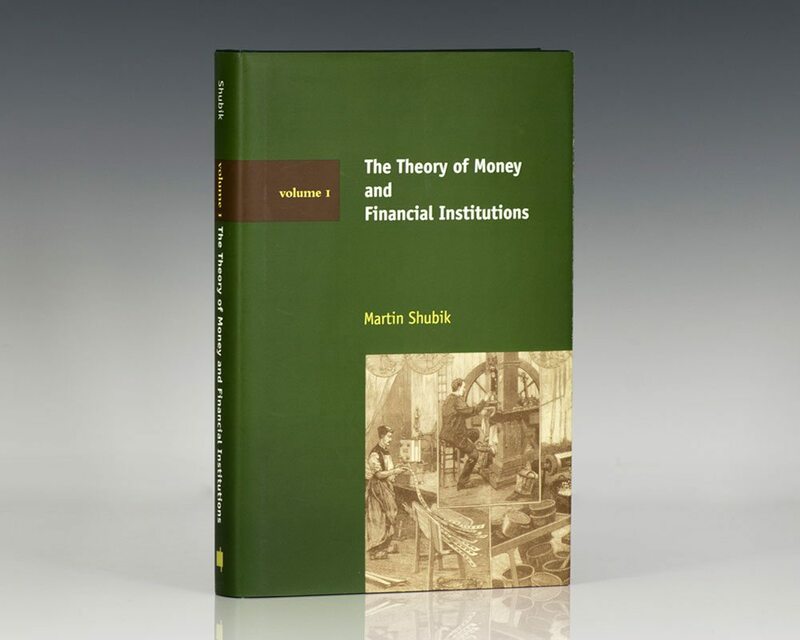 The goal is to develop a process-oriented theory of money and financial institutions that reconciles micro- and macroeconomics, using as a prime tool the theory of games in strategic and extensive form. The approach involves a search for minimal financial institutions that appear as a logical, technological, and institutional necessity, as part of the "rules of the game." Money and financial institutions are assumed to be the basic elements of the network that transmits the sociopolitical imperatives to the economy. Volume 1 deals with a one-period approach to economic exchange with money, debt, and bankruptcy. Volume 2 explores the new economic features that arise when we consider multi-period finite and infinite horizon economies. First editions. Octavo, 2 volumes. Both volumes are inscribed by the author. Both volumes are near fine in near fine dust jackets with light shelf wear.